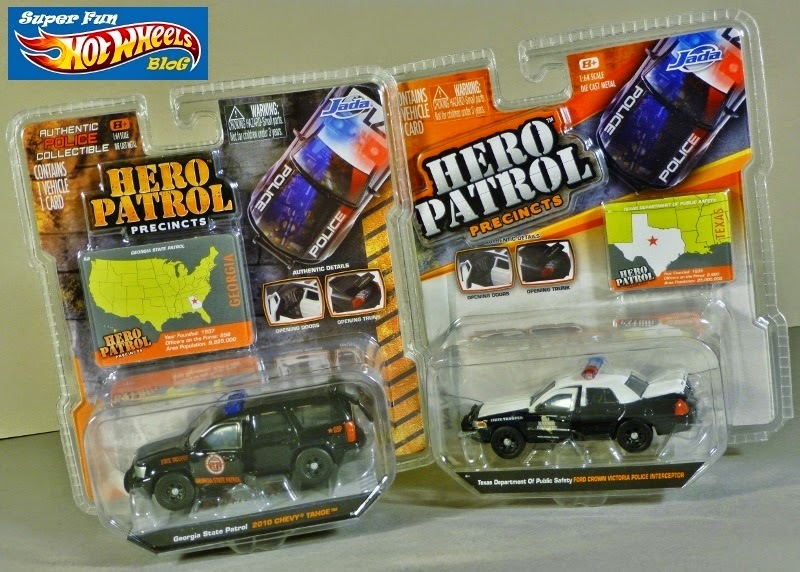 A little further yet into my investigation of more premium diecast cars, the hinged doors and trunks on these Jada Hero Patrol Series cars are what appealed to me most. 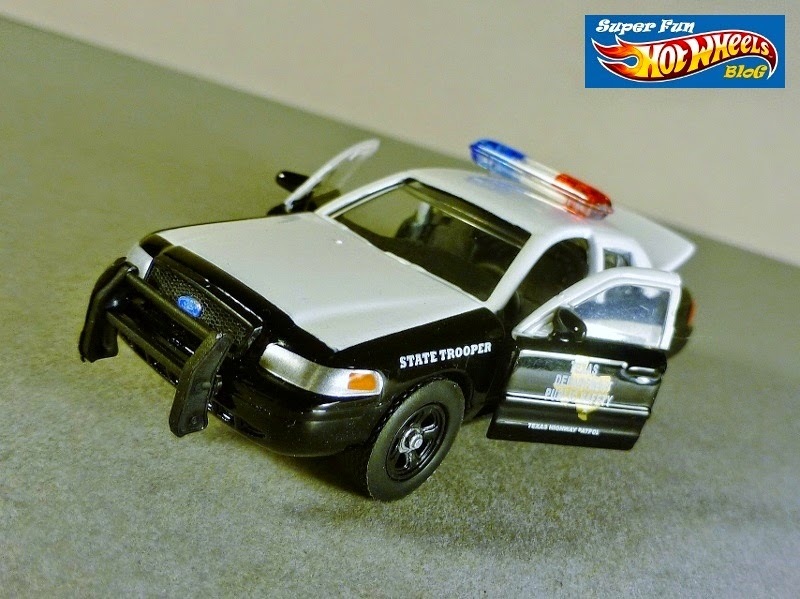 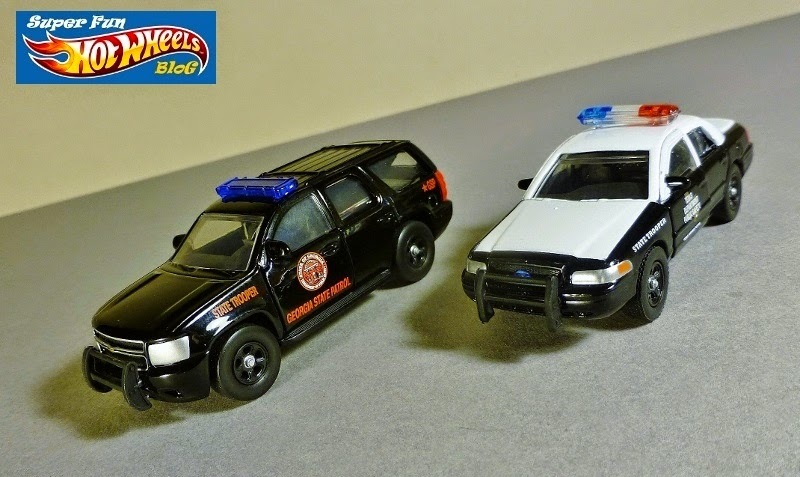 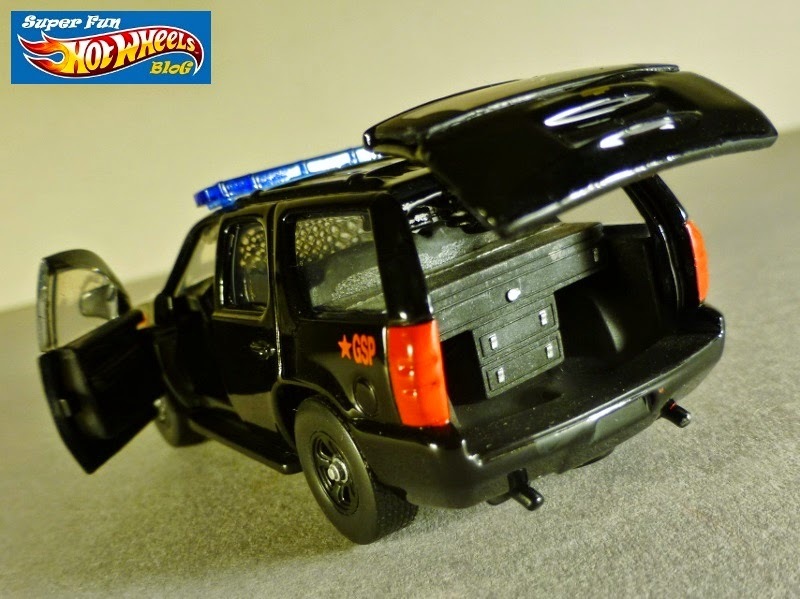 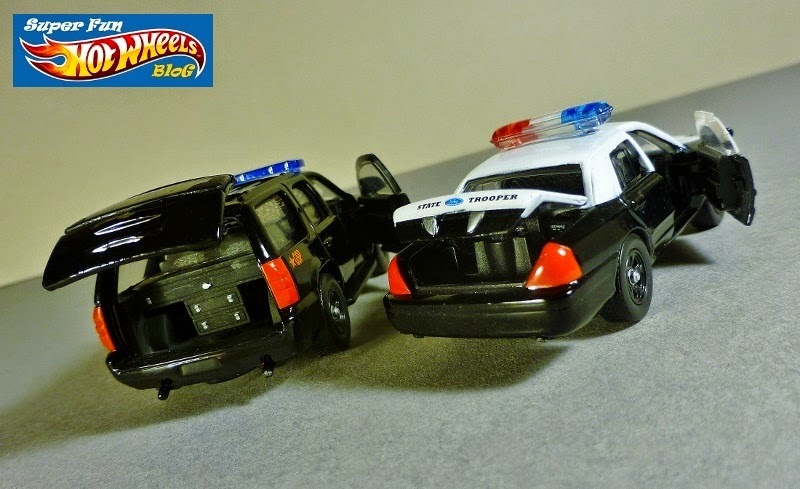 I'm a fan of toy police cars in general, and these are fairly detailed for the $3.99 price tag- the tampos are kinda simple, but they do have rubber tires and realistic sculpts and interior appointments. 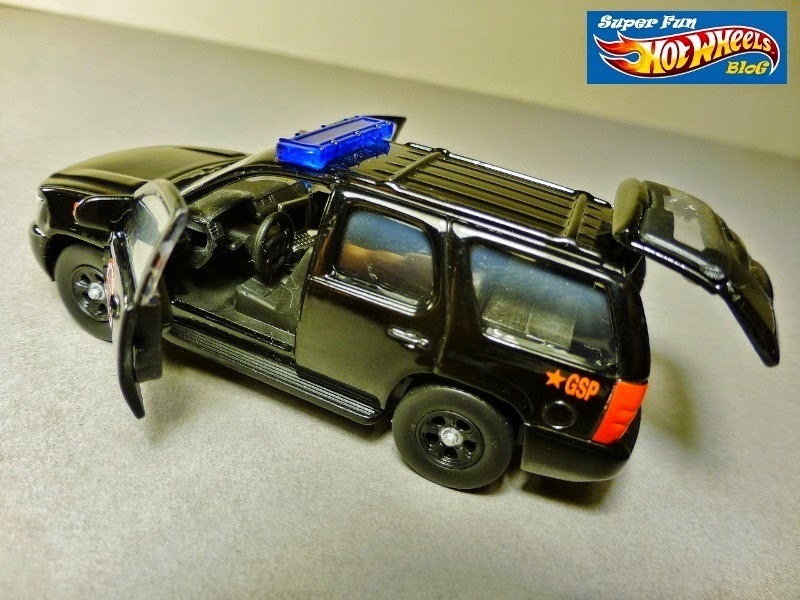 The Chevy Tahoe is particularly impressive with the firearms case inside the hatchback, but both have tiny laptop inside the dashboard and prisoner safety grating between the front & rear seats. 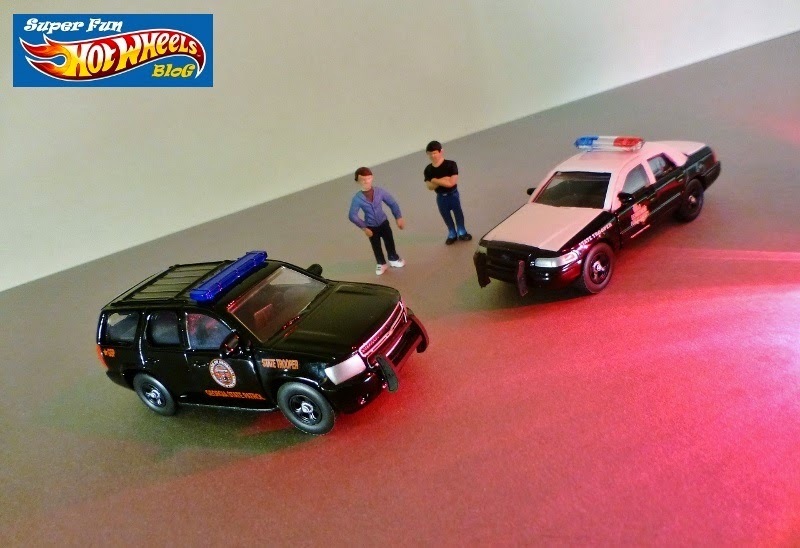 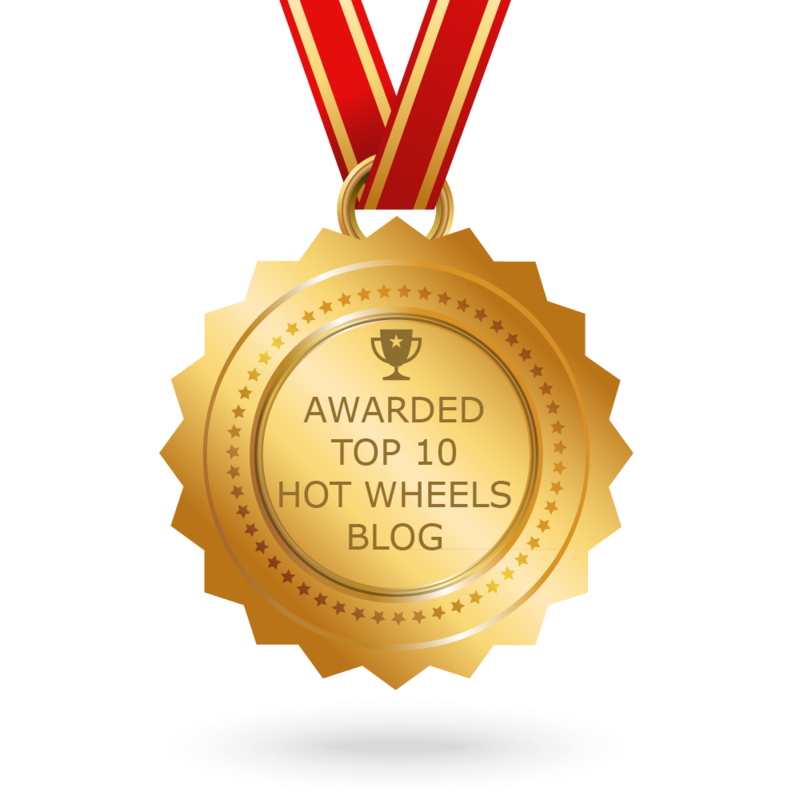 For me, one must have police cars in your collection to chase the speeders in all those hot rods you have! 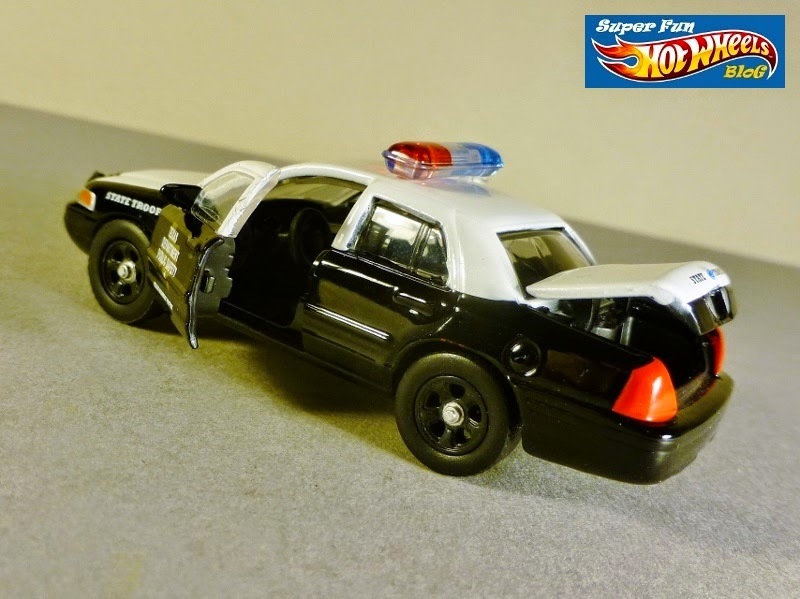 I have seen these before and they are nicely detailed and sturdy from what I can tell....just very nice.